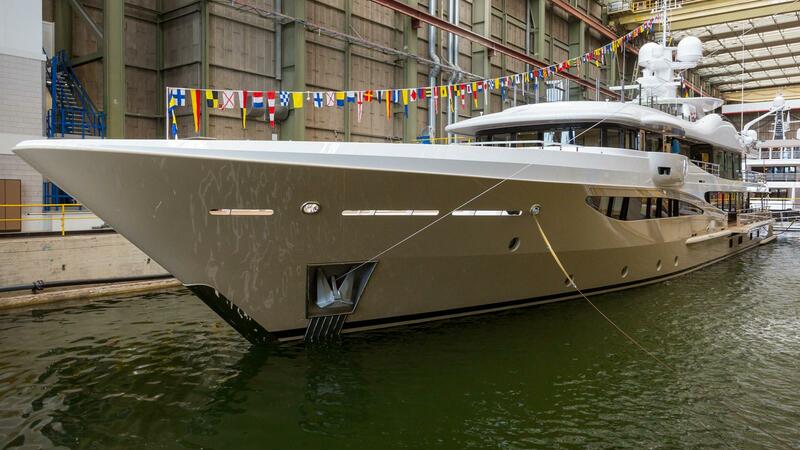 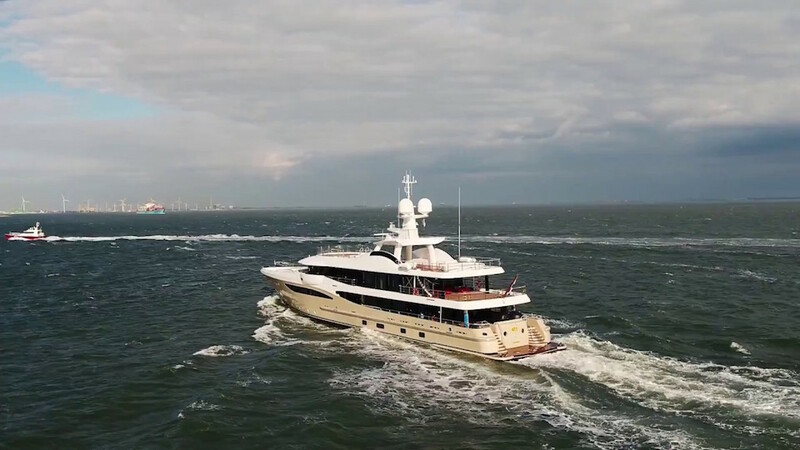 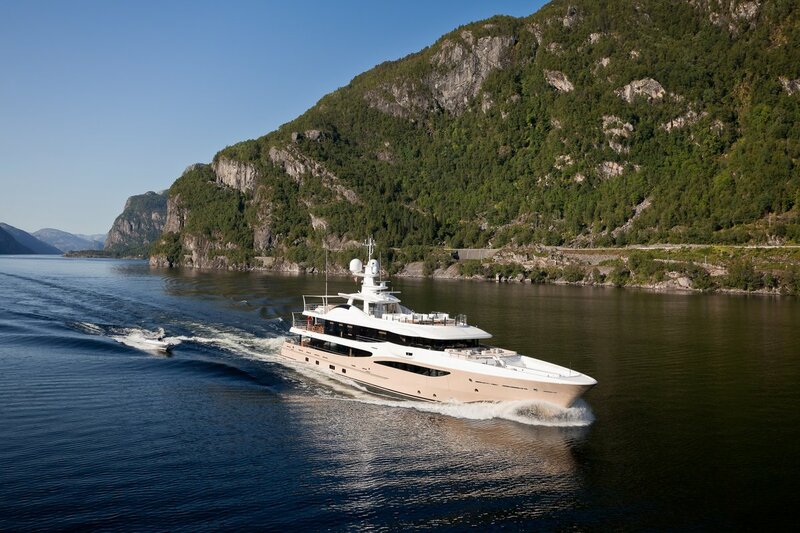 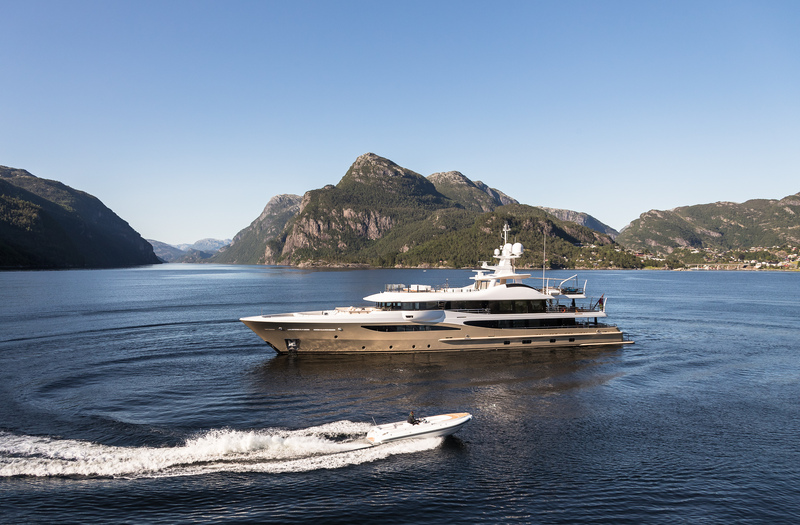 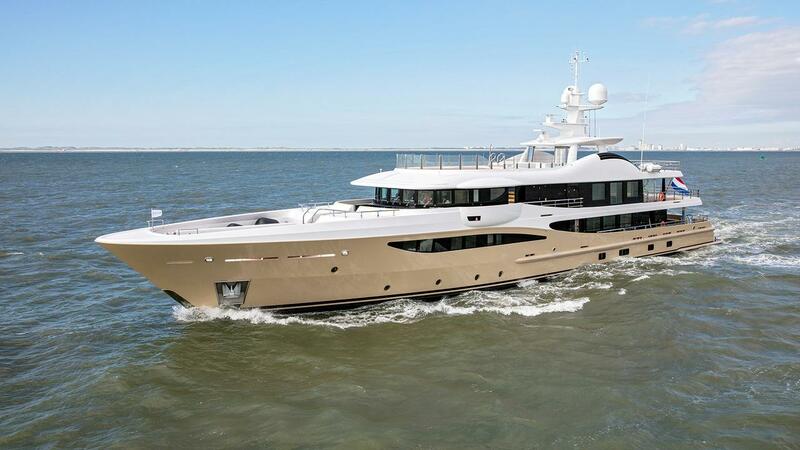 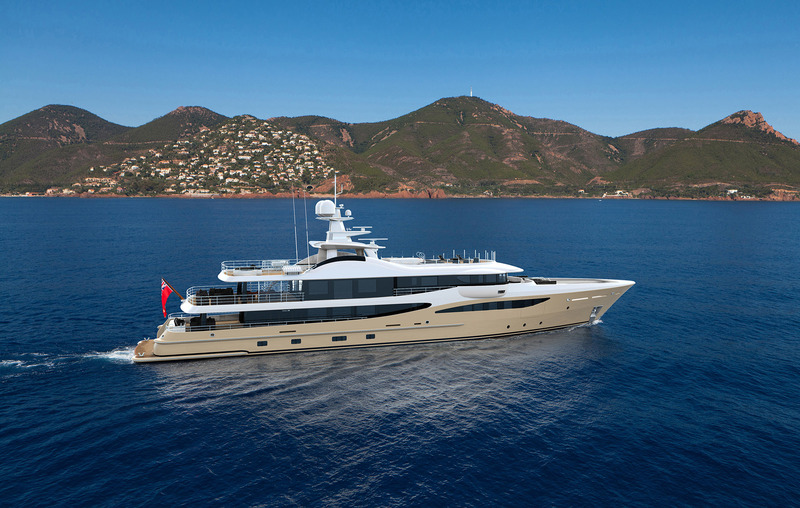 Motor yacht LILI is a Limited Edition 180 luxury superyacht launched by the renowned Dutch shipyard Amels. 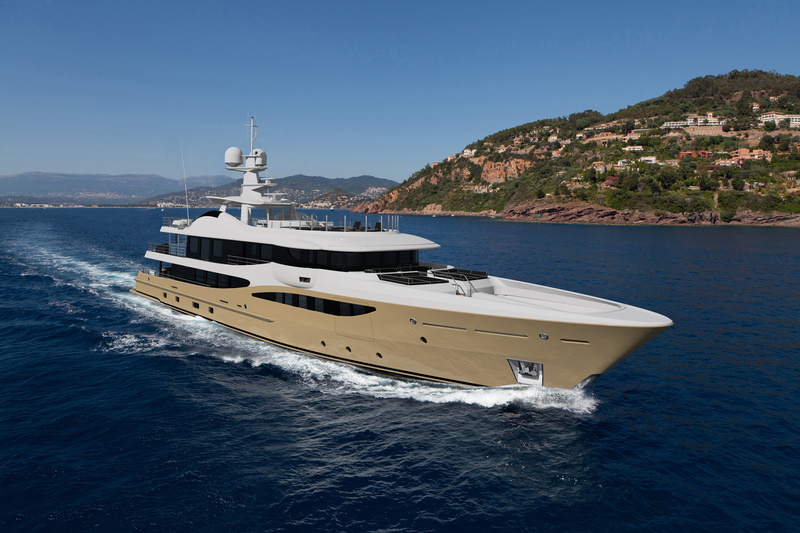 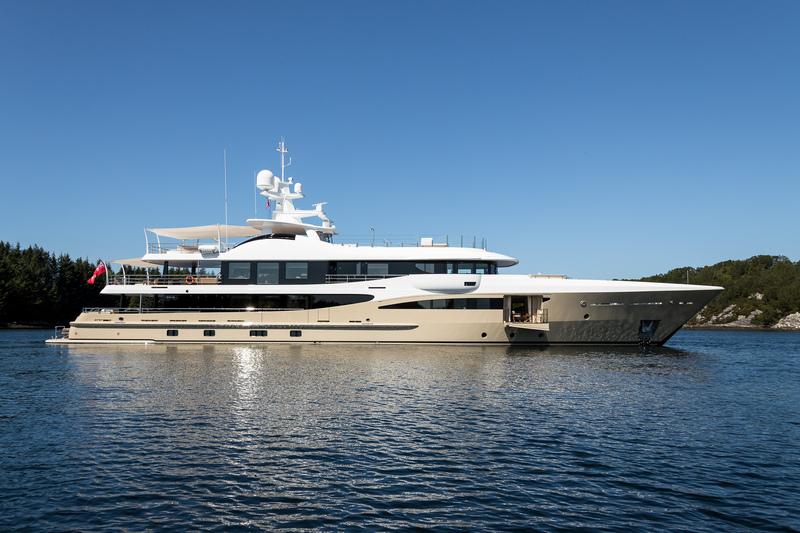 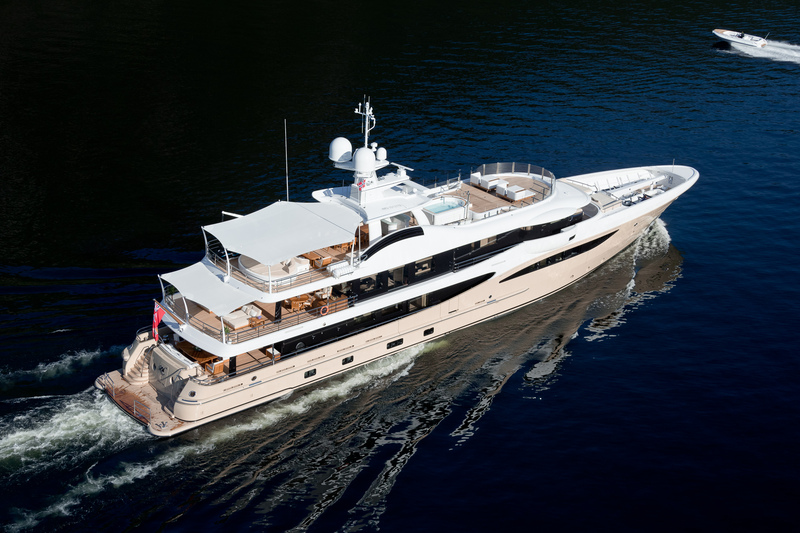 Measuring 55 m she has a full displacement Steel hull with an aluminium superstructure is from the Limited Editions 180 series. 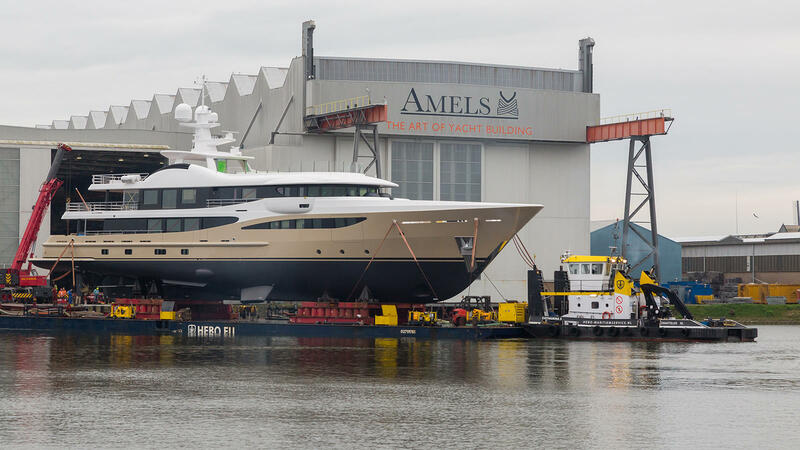 In keeping with the prior Amels 180 series, exterior design is by Tim Heywood. 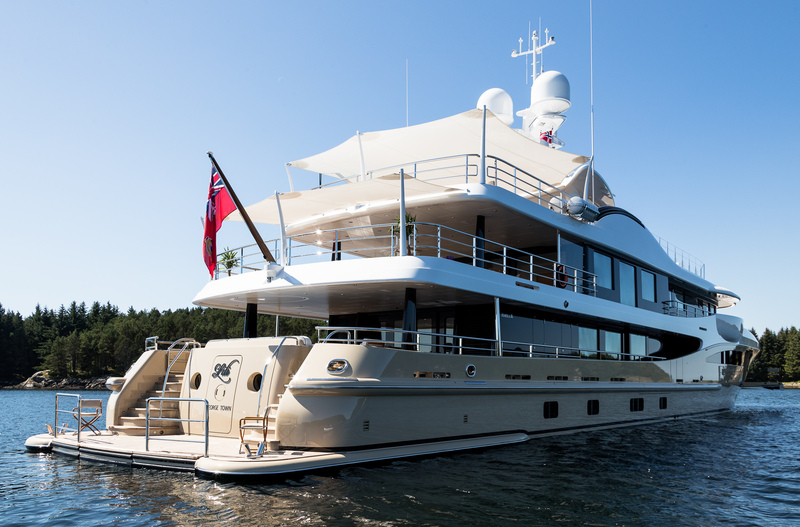 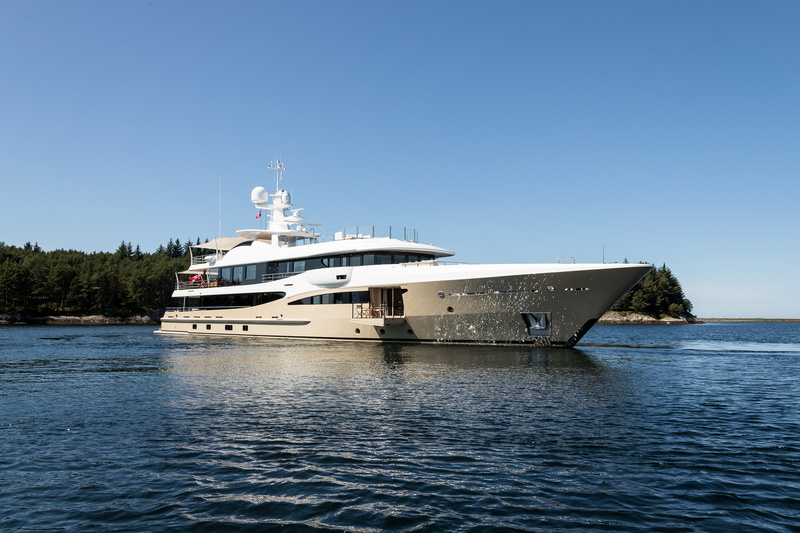 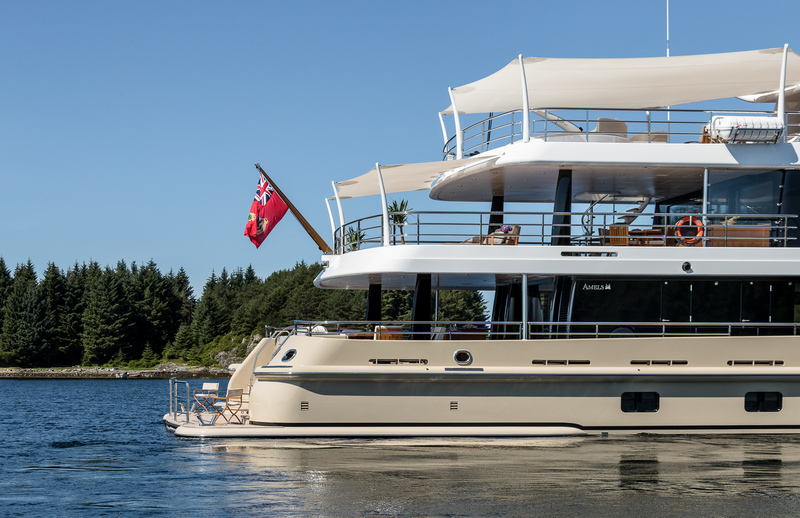 She boasts 3 spacious decks and has striking stainless steel highlights and stylish black accents. 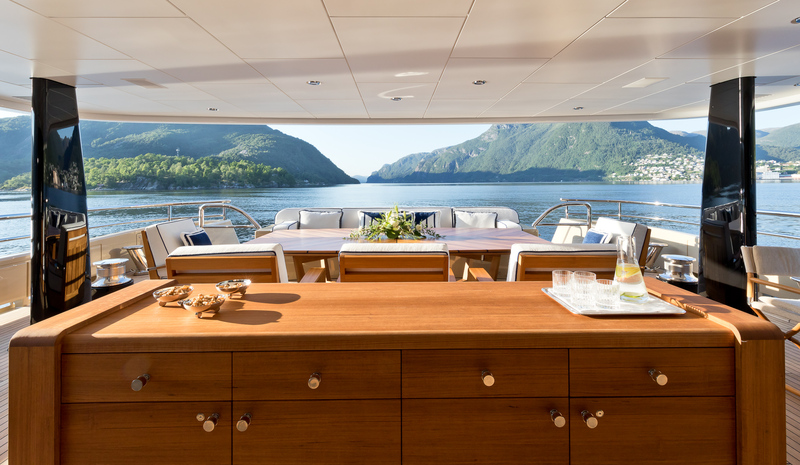 Offering accommodation for up to 12 charter guests in 6 well-appointed cabins, the superyacht also accommodates the captain and 12 friendly and professional yacht crew. 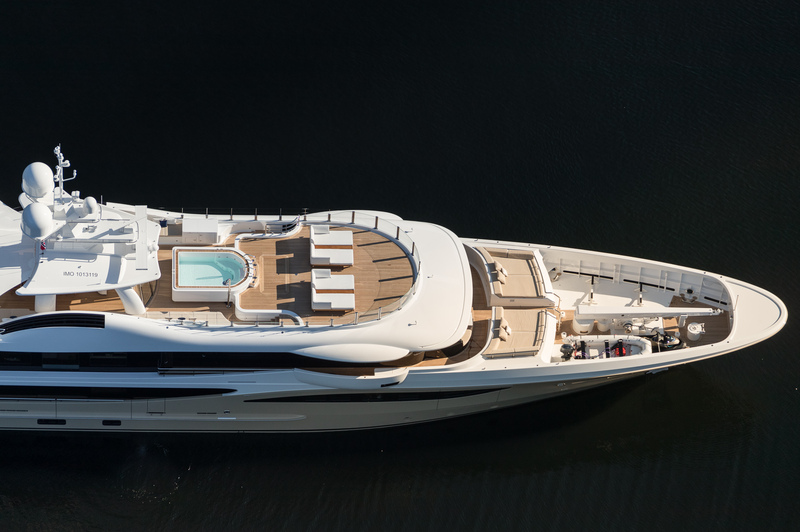 Similar to previous Amels 180 features, the superyacht boasts convertible balconies which fold down off the master cabin and main saloon. 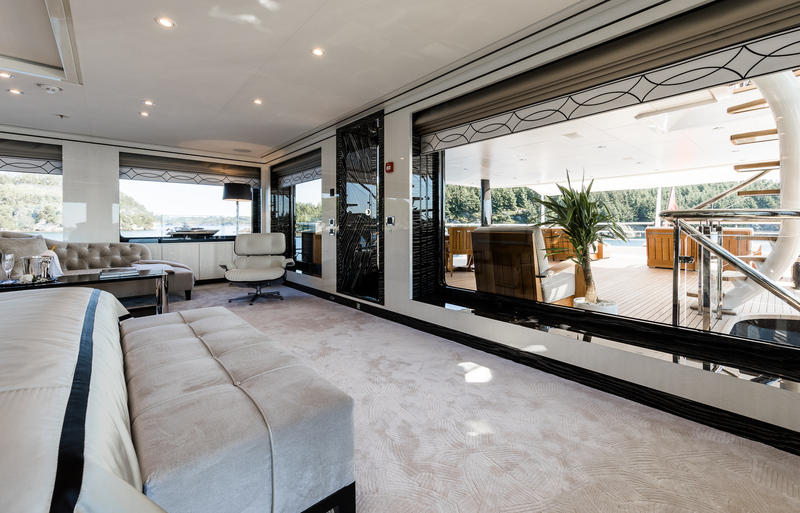 On the main deck, sliding glass doors open into the spacious salon which provides generous areas for relaxation or entertaining. 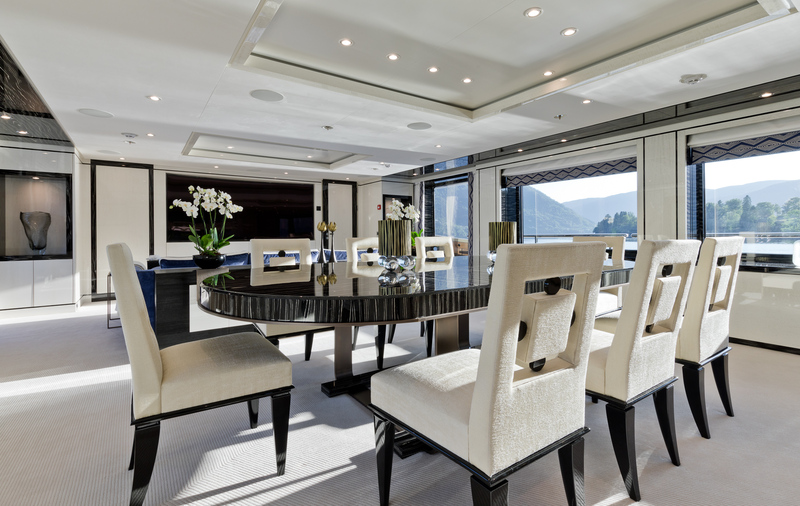 Continuing into a formal dining area, the encompassing windows bring in an abundance of natural light. 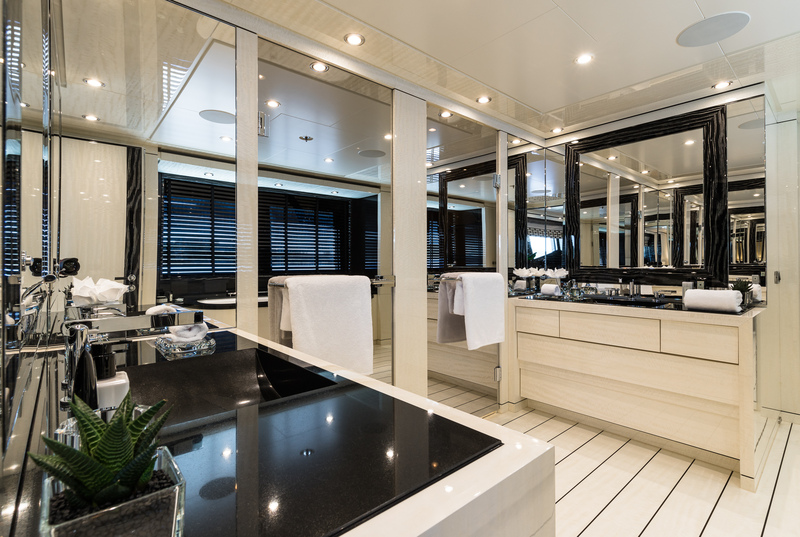 Further forward, the master stateroom spreads over the full beam of the yacht, with a private lounge, large ensuite and also boasts a private opening balcony. 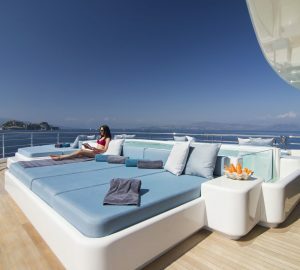 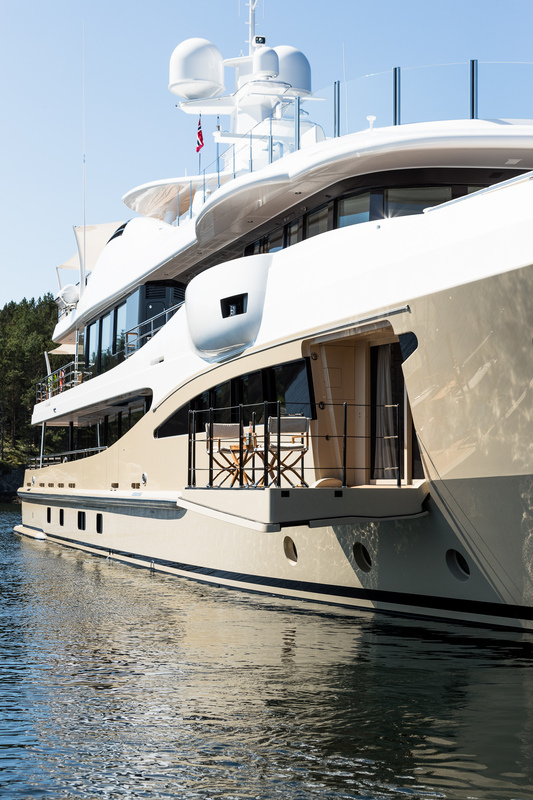 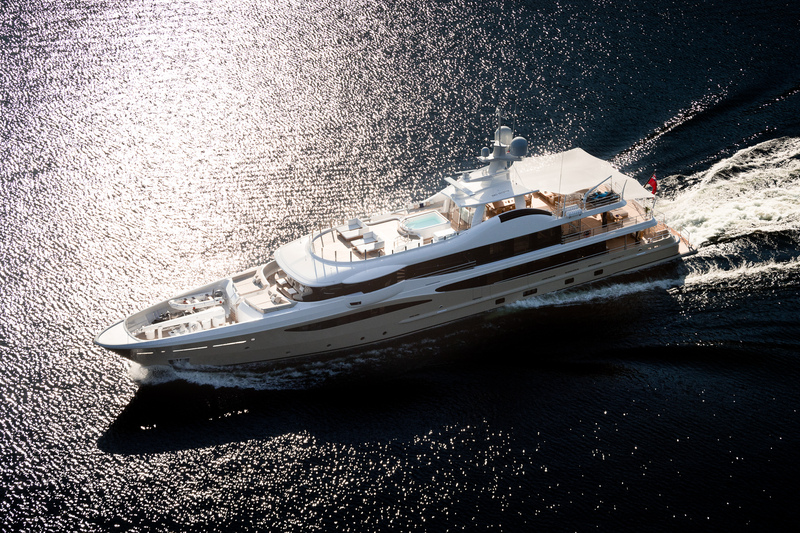 Exterior living aboard the Amels motor yacht LILI is generous and comfortable. 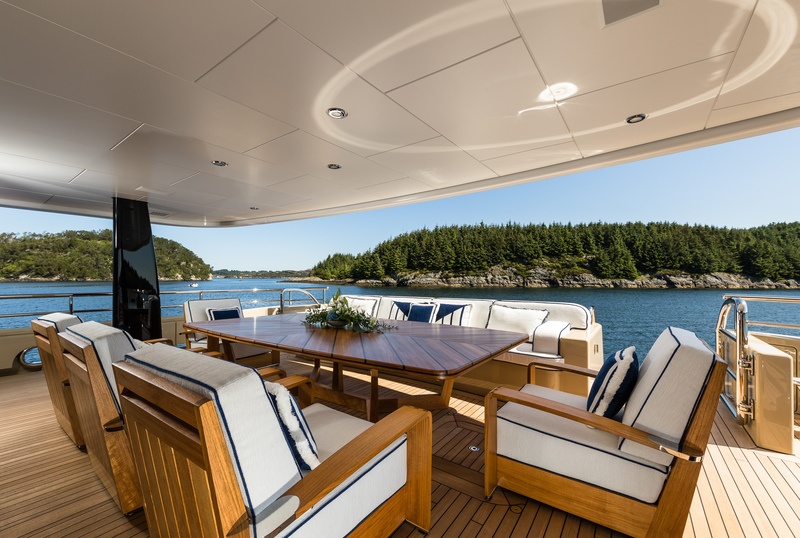 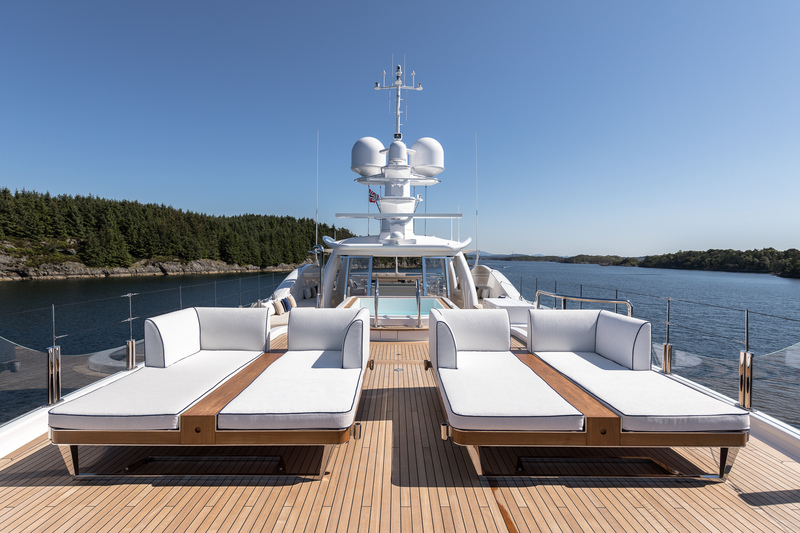 On the main deck aft of the salon, guests can relax and enjoy the exterior lounge. 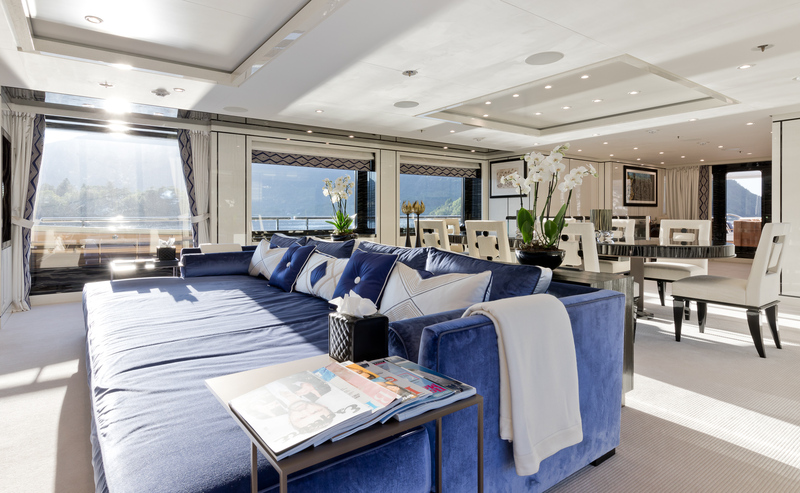 The upper deck is also fabulous for entertaining and can be accessed directly from the upper deck lounge. 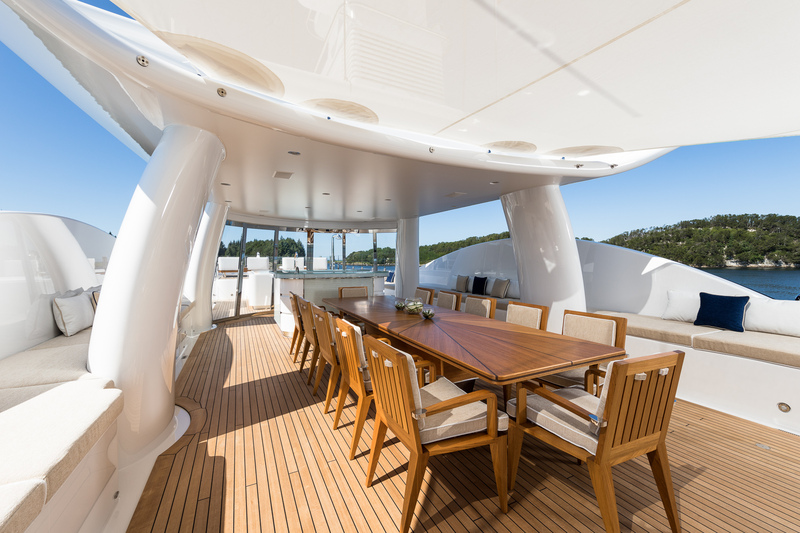 Side decks encompass the upper deck, leading to another seating area on the foredeck. 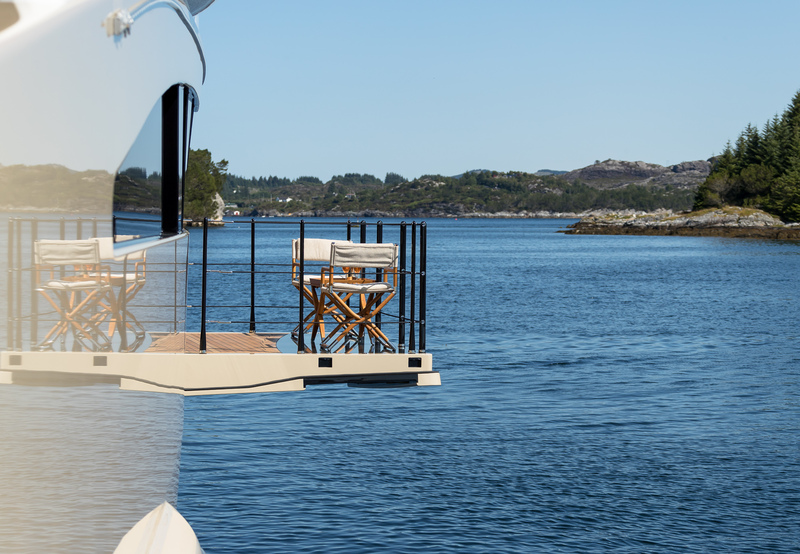 Those who enjoy water sports will be pleased with a large choice of toys to enjoy, all easily accessible from the swim platform. 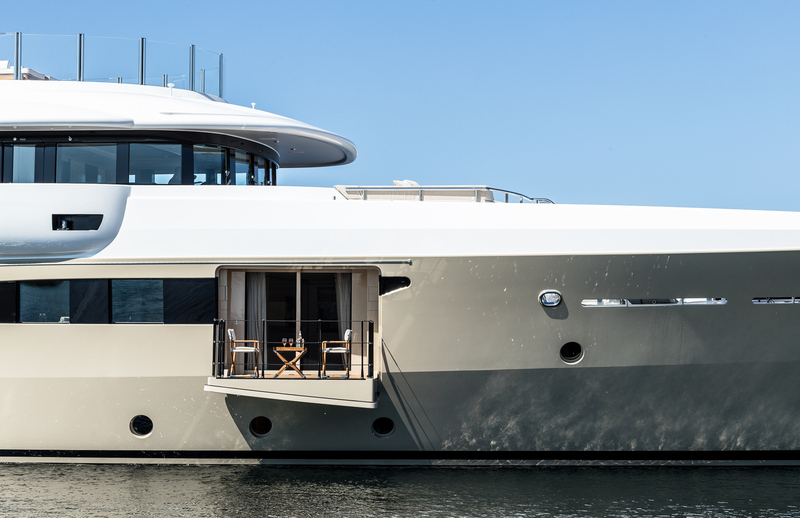 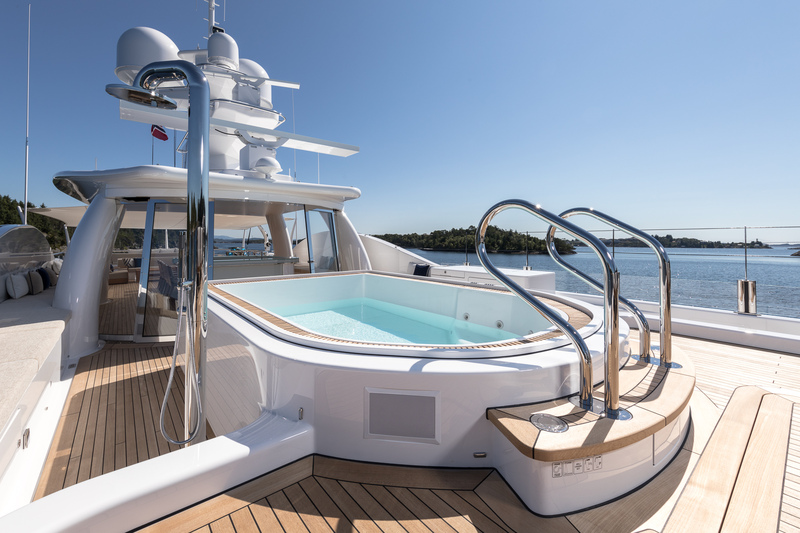 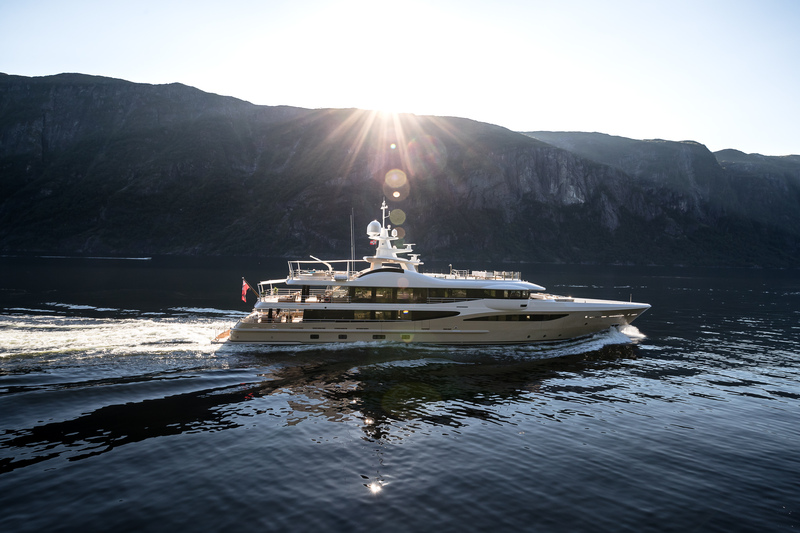 The 9,4-meter beam and 707 gross tonnages provide generous spaces for 12 guests and 12 crew, plus the captain to appreciate, notably the sundeck which comprises an impressive 55 square meters. 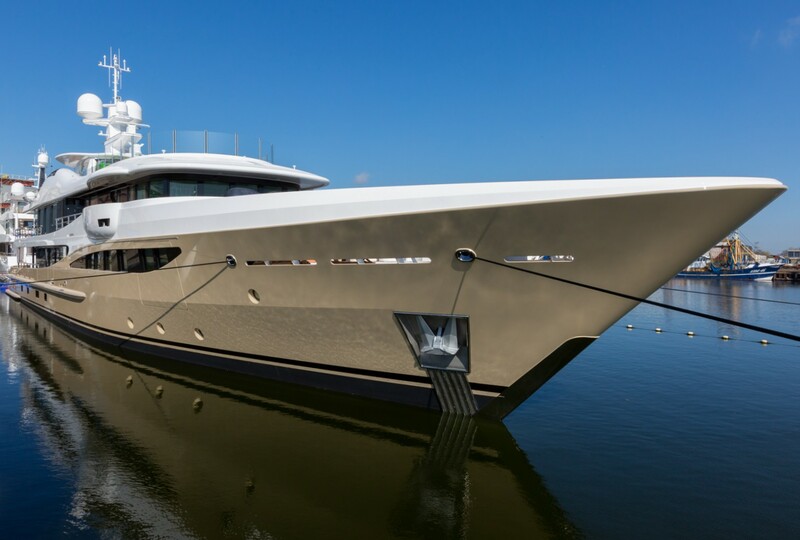 The luxury superyacht cruises at 13 knots with top speeds of 15.5 knots, on behalf of her twin MTU 16V2000M70 engines and carries fuel capacity of 115,000 litres. 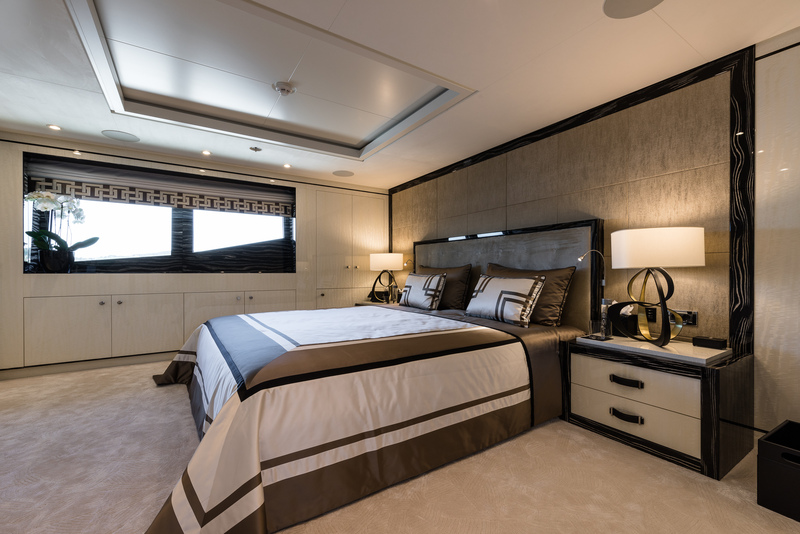 This luxurious yacht offers stylish accommodation for up to 12 charter guests, in 6 elegant state cabins, all with ensuite. 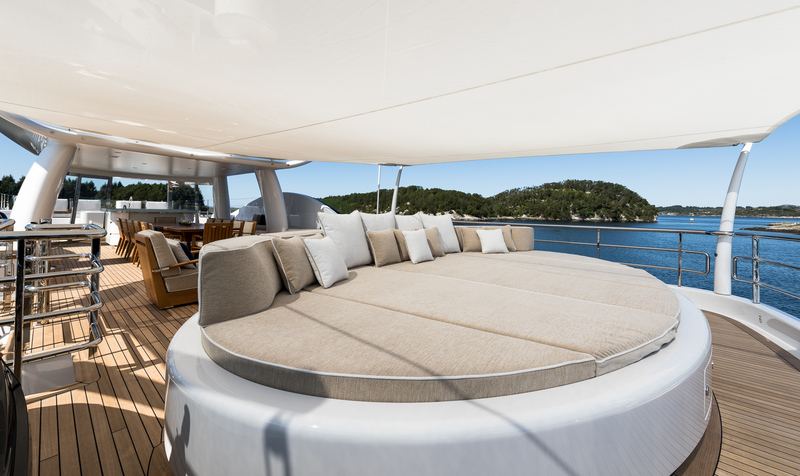 There are four double cabins, two twins, with one cabin being convertible. 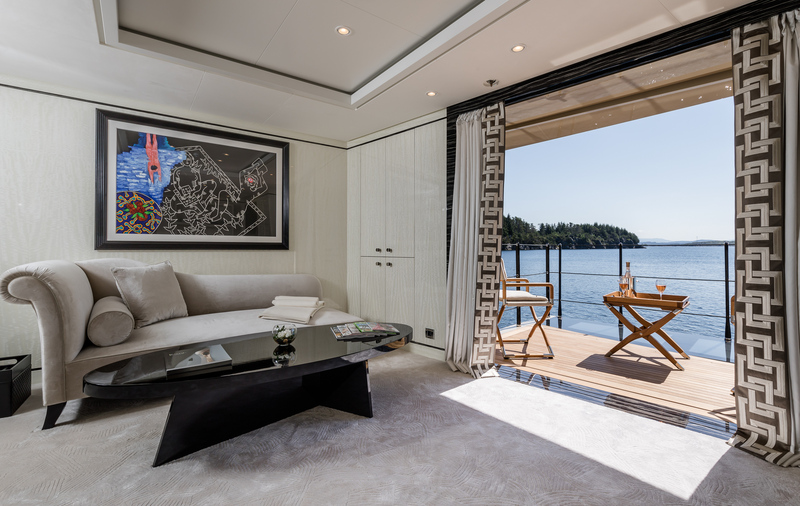 The Master cabin is located on the bridge deck aft and offers a private exterior deck. 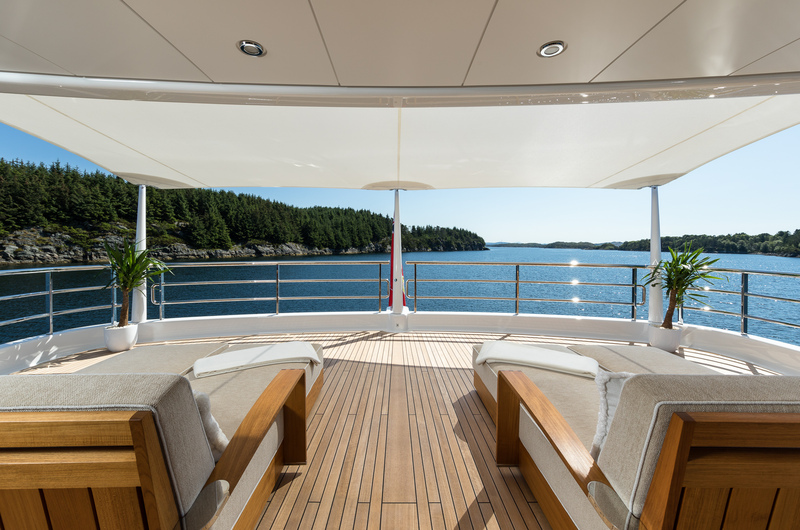 The VIP cabin is on the main deck forward and features a balcony. 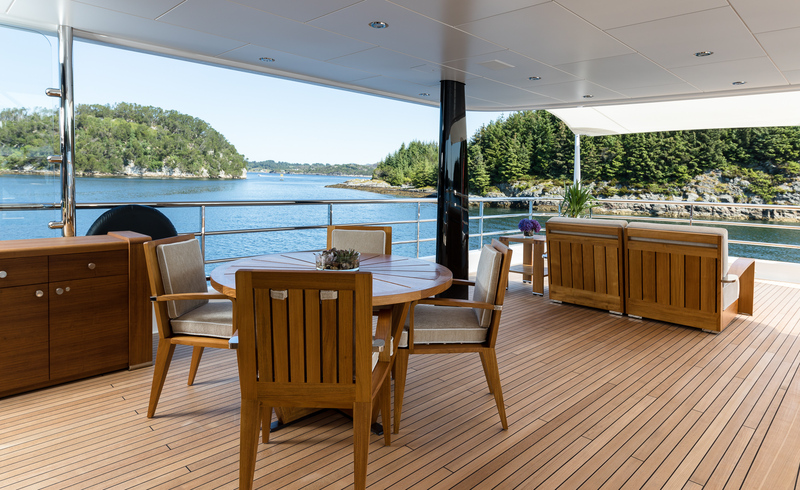 The lower deck offers four guest staterooms, two of which are doubles and two are twin cabins. 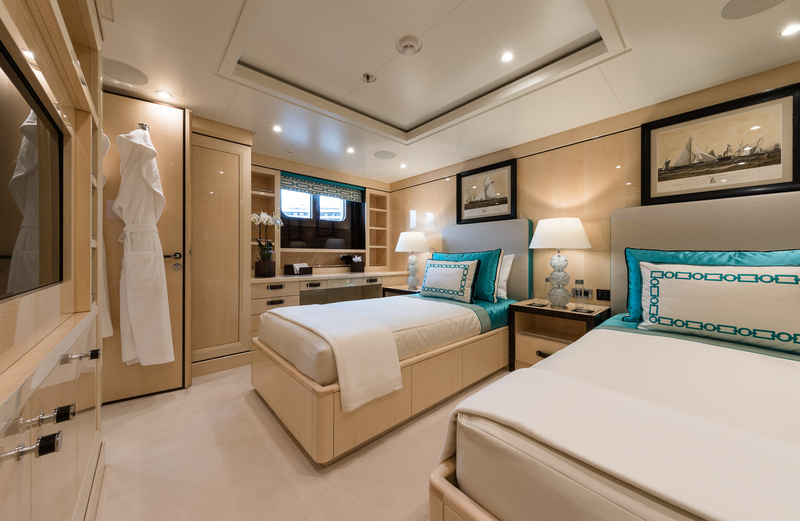 One of the twin cabins has an additional Pullman berth.